The whole deal: There are many benefits to adding plant-based proteins into your diet, but eating overly processed proteins erases some of those benefits. So look for items that have fewer ingredients. GMO-free: A genetically modified organism is one that has genetic material from unrelated organisms (i.e., fish gene in a tomato). GMOs are supposed to help breed hardier plants by helping them become resistant to drought, herbicides or pests. But what does it mean for our health? No one really knows, but I would avoid GMOs as much as possible. 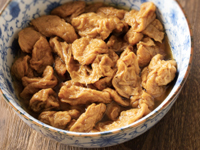 Tempeh: This fermented soybean product that comes from Indonesia is rich in antioxidants, contains anti-inflammatory properties, and is excellent for cardiovascular health. It’s noted for high levels of manganese, copper, vitamin B2, and a form of vitamin K that helps bones stay strong. 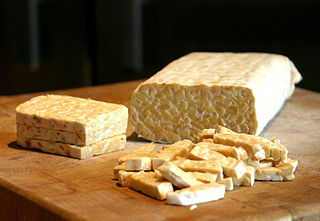 Tempeh has a rich, nutty flavor, and it is delicious when stir-fried with garlic or baked. 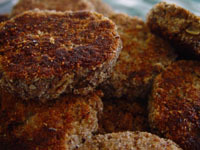 Click here for a Tasty Tempeh Sandwich recipe. Tofu: This versatile form of soybeans that originated in China contains substantial amounts of tryptophan, which helps regulate sleep, appetite, and lifts moods; calcium and magnesium for bone health; iron, protein and omega-3 fatty acids for brain and muscle health. 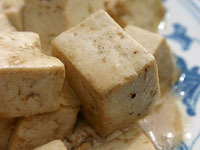 Tofu comes in a couple of different varieties – firm is good for stir-frying, baking, or scrambling; soft or silken are great for puddings, sauces or desserts. Click here for a breakfast Tofu Scramble recipe. Beans: Rich in iron and fiber, beans are nutritional powerhouses. There are hundred of different varieties to choose, and if you tried to eat them all, you’d never get bored. Black beans are high in folate and known for offering lower digestive tract support. Chickpeas, or garbanzo beans, help control blood sugar and insulin levels. Lentils provide heart-healthy fiber and are quick and easy to cook. Pinto beans are among the highest in phytonutrients. 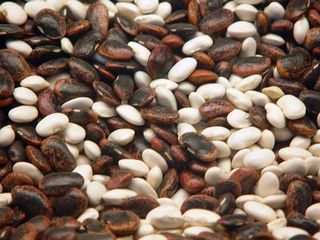 Beans are great in soups, stews, as side dishes, wrapped up in burritos, tossed into salads, or even formed into burgers. Click here for a Lentil Burger recipe. Meatless burgers, sausages and dogs: Typically containing soy and other beans, vegetables, seasonings and natural flavorings, their nutritional value varies depending on the product. They can be an option if you’re in a hurry. However, it’s important to read the ingredients to see what you’re getting in those meatless wonders. You might want to skip if you have food sensitivities. What are some of your favorite meat substitutes? Feel free to comment with recipes and then check out more of our Health Food Store Tours!